Select the Updates tab to view the available options. Ensure desired options are selected then click OK. 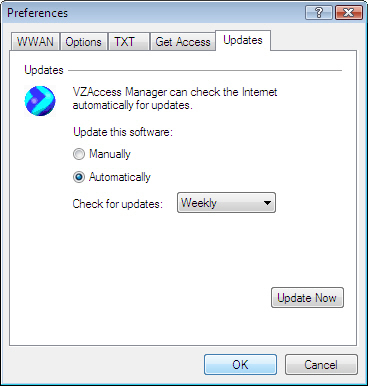 Updates are performed on a Daily, Weekly, or Monthly basis.